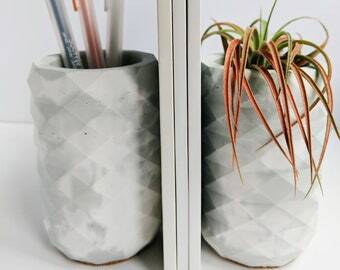 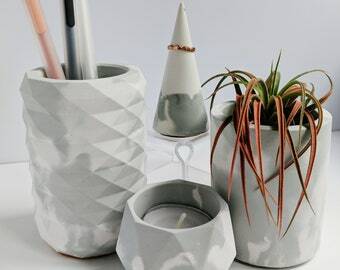 These natural gray concrete dishes are the perfect way to organize your desk, kitchen counter, bathroom sink, or even your bedside table. 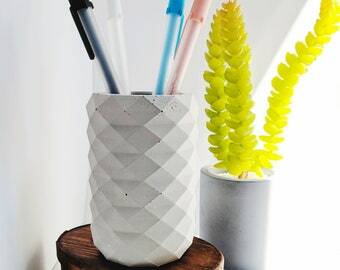 The pencil holder can be used to corral pens and pencils, paint brushes, or makeup brushes. 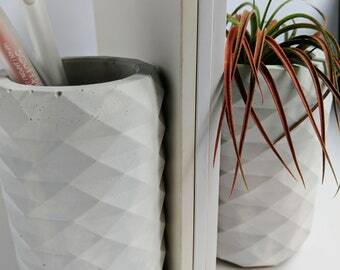 It's heavy enough to work as a bookend too! 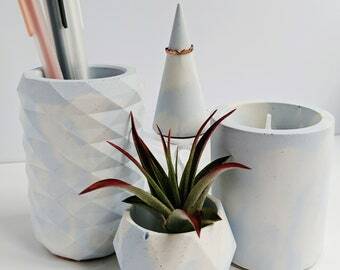 The small and mini dishes are beautiful as candle holders, indoors planters, or even jewelry dishes. 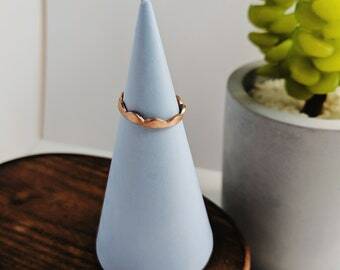 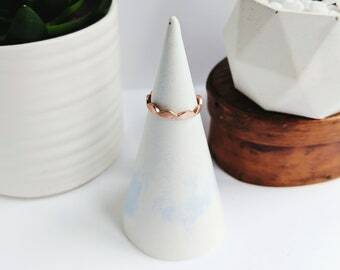 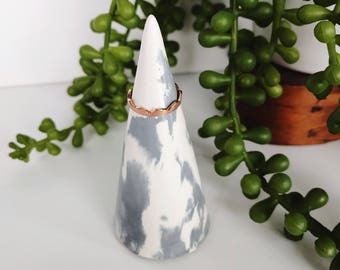 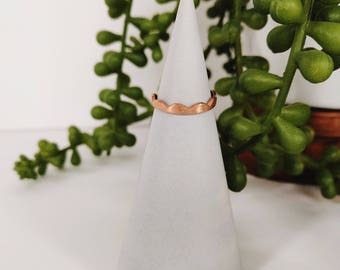 The ring cone is always helpful to have by the sink or bedside to keep your rings in a safe place. 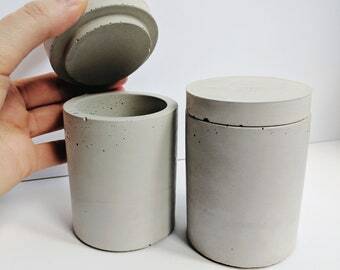 + Photos are representative of a similar item you will receive, as the plain concrete pieces are made in batches. 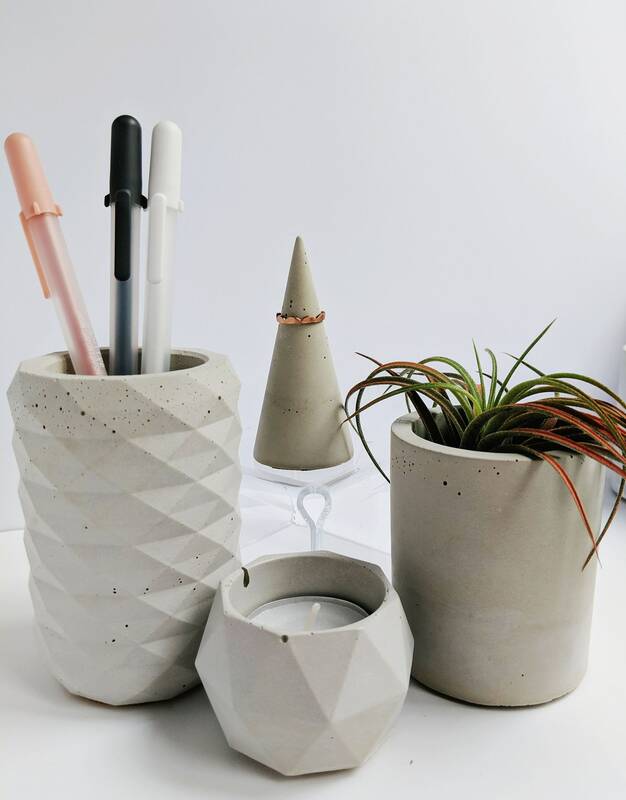 Each item is handmade, and no two will be the same. 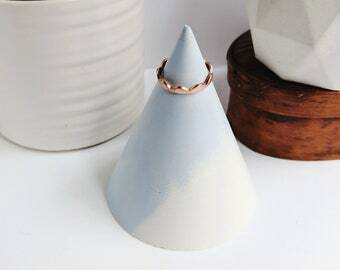 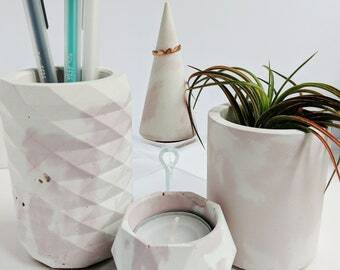 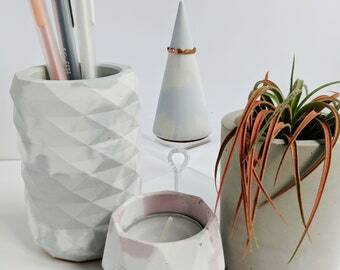 + Listing is for (1) pencil cup, (1) small dish, (1) mini dish, and (1) ring cone. 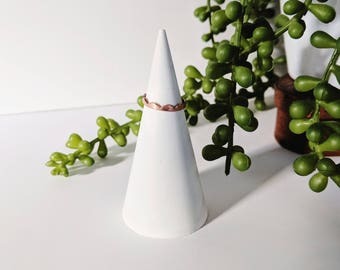 + I've added a piece of cork to the bottom to help dishes stay put, but also to prevent scratches on any delicate surfaces (see last photo for example). 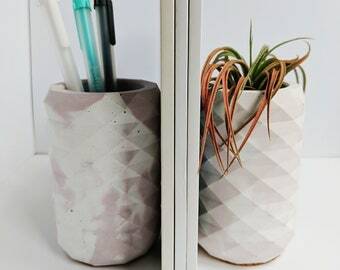 Curious about the other colors we have for the desk sets?